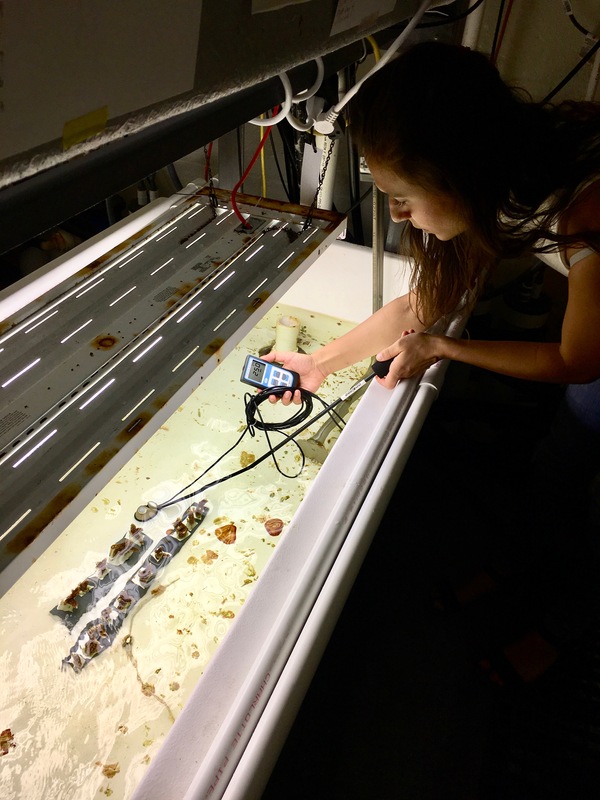 Based at the University of Miami's Rosenstiel School of Marine and Atmospheric Science (RSMAS), Dr. Chris Langdon's laboratory studies the effects of ocean acidification on corals. Currently, we are working with the species Acropora cervicornis, or staghorn coral. Once one of the most predominant reef building corals on South Florida reefs, A. cervicoris is now considered an endangered species. It is also a particularly sensitive species, making tight control of our experimental conditions essential. We have eight tanks, each with about twenty coral colonies. The carbon dioxide level in four of our tanks is around 400 ppm, approximately equivalent to present day conditions. The CO2 levels in our other four tanks are around 950ppm — a level our oceans are projected to reach by 2100 by the most conservative climate change models. We use the Apogee MQ-510 Full-Spectrum Underwater Quantum Meter to monitor the amount of light reaching our corals. The amount of light a coral receives can strongly influence its growth rate, and too much light can even speed up coral bleaching. For these reasons, it is essential that we take accurate light measurements weekly, as our light systems could easily fail or dim over time without close monitoring. Since our full-spectrum sensor is submersible, we are able to place the sensor where the corals actually are (not just at the water's surface) to get more accurate measurements. Furthermore, the MQ-510 meter applies an immersion effect correction factor to account for the water's distortion of light. 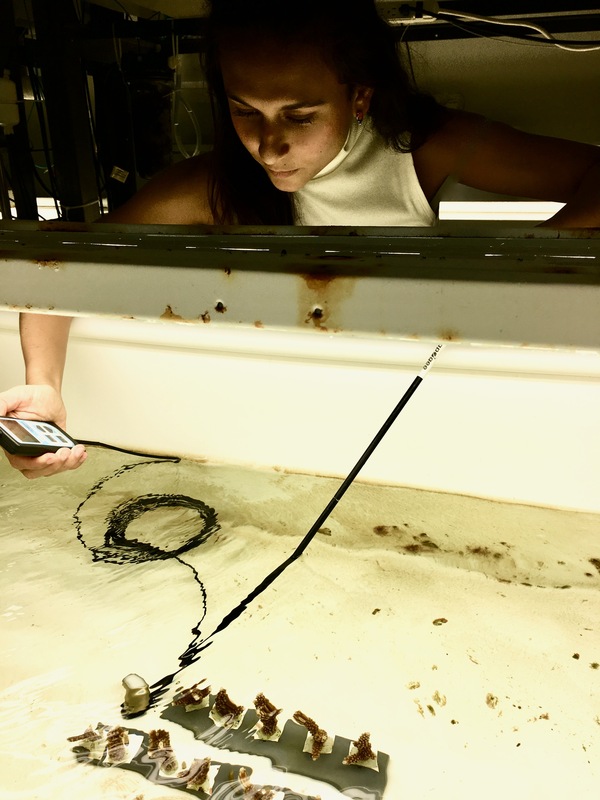 Finally, the AM-310 sensor wand simplifies our process of collecting tank samples, because we don't even need to get our hands wet to take our light measurements! Apogee Instruments' MQ-510 is used for light monitoring used in studying the effects of ocean acidification on corals.